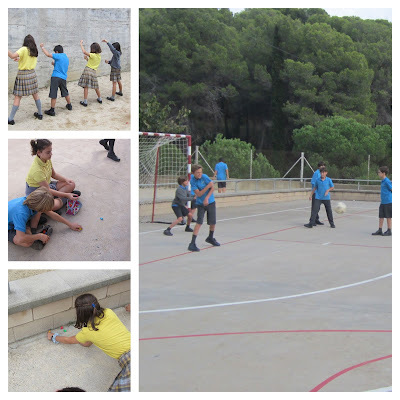 Blog Espai Migdia: CANTEEN - PLAYGROUND TIME! Another week the pupils show that they are adapted to the new canteen and they enjoy a lot spending time in there. On the other hand, they have a good time in the playground, as well as they do love practising team sports or spending their leisure time with classmates. Furthermore, if it is raining, they like playing table games or watching films in case of infant education.